In order to provide better services and bring greater satisfaction to our guests, we offer the transfer service. We perform this service with maximum professionalism and dedication to provide you with the highest quality just like all the other services we offer. 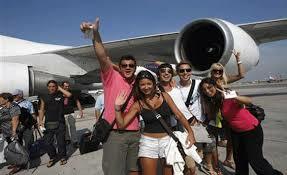 We offer transfer services all year round in order to make your trip pleasant and safe both at home and abroad. Our drivers will always be appropriately dressed and will wait for you at the desired location in the exact scheduled time. All the cars we offer are air-conditioned, immaculately clean and completely technically functional vehicle that will provide pleasure worth remembering at lower prices than any taxi or car rental agencies in Belgrade. Prices are per transfer in one direction. From the airport to the hostel or from the hostel to the airport. From the main bus station and the main train station to the hostel or from the hostel to the main bus station and the main train station. Maximum 4 people – 7 euros. -other locations in Belgrade, other cities and foreign countries.